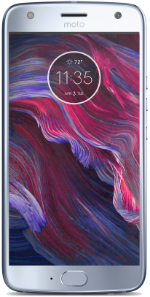 The Moto X4 is a 4G LTE smartphone with a 5.2-inch FHD display with 1080x1920 resolution and 424ppi. 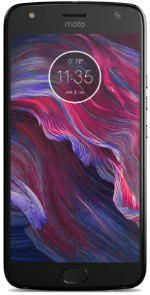 The phone is powered by a 2.2GHz Octa-Core Qualcomm Snapdragon 630 processor with 3GB of RAM and 32GB onboard storage. There is a microSD card slot for up to 2TB memory expansion. The device has a dual-camera configuration with a 12-megapixel main camera and an 8-megapixel ultra-wide angle sensor. Another camera is available in front with a 16-megapixel camera. Other features include a 3,000mAh non-removable battery with fast charging technology, IP68 water resistance, fingerprint reader, and NFC. Upon release, the phone runs Android 7.1 Nougat OS and comes in Super Black or Sterling Blue color options.